I’ve been asked many times over the last year why there is has been such a growth in people wanting to learn to sew. I can’t tell you what everyone’s motivation is, but I know at first hand just how excited people are when they make something for the first time. The sense of satisfaction is huge. It is like baking a difficult cake and getting to eat it EVERY DAY. You make something amazing then it lasts forever. You learn a skill that will grow with you and enable you to carry on making amazing things that you are enormously proud of and that you loved making. You learn a skill for life that you can pass on. You get to wear something totally unique like a skirt made from 1960s curtains. Or an apron for your husband with skulls and roses on. Or a gorgeous handbag. (This really was her first time sewing). 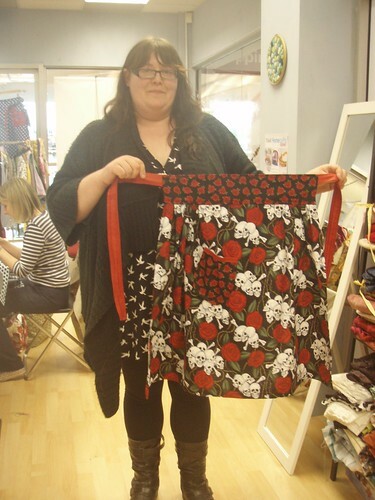 You might want to learn to sew to make your own curtains, to make fabulous cushions, to make your own clothes, to make quilts for new babies, to make lovely handbags, to make your own wedding dress. All these things, and more, are possible with a little bit of knowledge, some new-found confidence in using a sewing machine and a little bit of fabric (although I recommend a LOT of fabric). 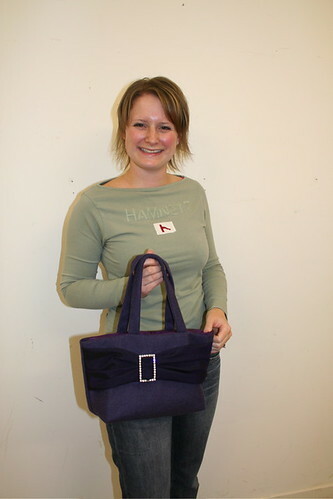 My Learn To Sew workshops get you set up and ready to sew with confidence. The groups are small (no more than 6) so you get plenty of help and also have a nice social time with other equally-scared-but-excited new sewists while you share tea and biscuits. I use a variety of machines (old and older) and there is nothing scary about them at all – they won’t whizz away without you and unless you try very hard, you won’t break them. I will tell you all about the kind of fabrics you are best to start sewing with, so you won’t end up having any polyester-satin-related tears when you are sewing on your own. 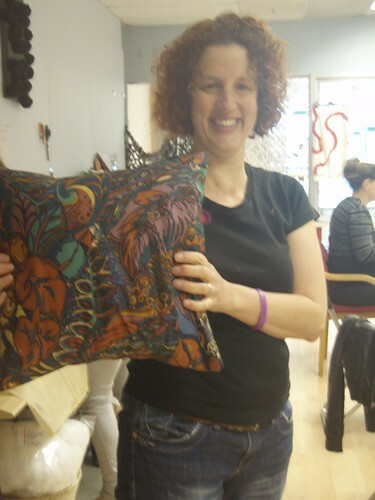 During the class you will learn how to prepare, measure and cut fabric properly so your sewing isn’t wonky and you will – I PROMISE – come out with a finished cushion cover at the end of the session. 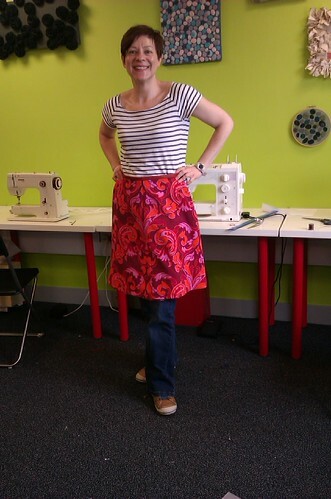 In just 2.5 hours you will learn how to sew and the world will be your oyster. Or fabric shop. Learn to Sew workshops are suitable for anyone who has never sewn before or has used a sewing machine a little and wants more tuition. This class is also good for those who are very rusty but if you can already sew in a straight line, try one of my other classes such as dressmaking or bags. Anyone over 12 is welcome to come to my workshops. You don’t need to bring a sewing machine or anything else – you can buy fabric from me; either some cheap and cheerful upcycled curtains, or maybe organic cotton or a special vintage fabric. Beginner workshops coming up at Ruth Singer Studio, Leicester are listed here.